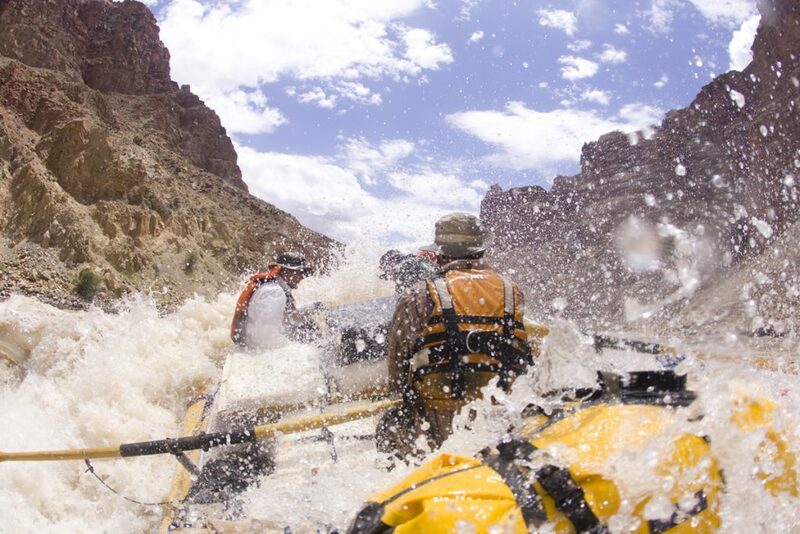 After the first few miles, you might be wondering how Cataract Canyon got its name. Cataract means waterfall after all, but a gentle current carries you through 2,000-foot red rock cliffs. 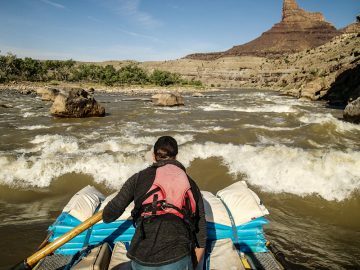 You might sleep on a big sandy beach or hike up to ancient petroglyphs, but once you reach the confluence of the Green River the current picks up speed. Now you’re in Canyonlands National Park and the brown waves begin to slosh around the rocks. When lateral walls of water move across the current and pulsing waves form between boulders, you have arrived. Mile Long, Satan’s Gut, and the Big Drops come in quick succession. Hold on tight because in spring and early summer, these are some of the biggest rapids in North America. This 17-mile stretch of whitewater can be run in a single day, but since each group is allowed to camp overnight it’s worth taking your time. You may see Bald Eagles swoop high above the red rock canyons, but once the walls turn to dark gneiss you’ll want to start paying attention. 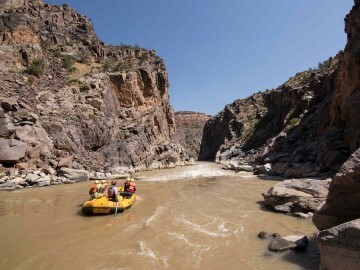 Rapids like Staircase, Big Hummer, and Funnel Falls will serve as your appetizer as the river plunges toward Skull Rapid, one of the most notorious in the West. One mistake and you’ll be captured in The Room of Doom, a huge recirculating eddy with solid cliff walls. Make it past that and you’ll be rewarded with a few more fun Class III rapids before the take out, and you’ll wish you could do it all over again. This 83-mile, Class II float winds through Puebloan territory. Side hikes reveal incredible stone kivas and cliff dwellings adorned with petroglyphs created nearly 2,000 years ago. The muddy current bobs you along a red rock labyrinth that rests squarely in the crosshairs of a political battle. The newly-created Bears Ears National Monument, after years of input from tribal, civic, and government leaders, is at risk of losing its protected status and once again becoming vulnerable to private and corporate interests. 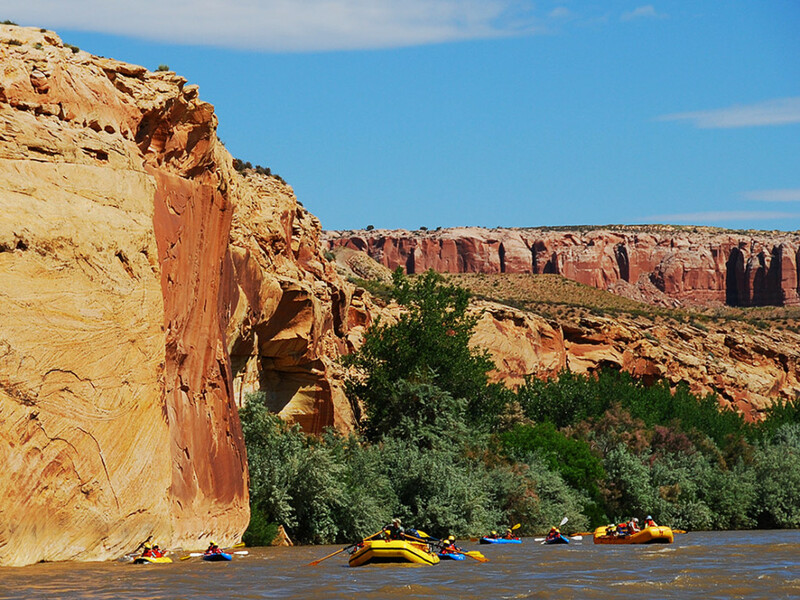 It’s an unprecedented and possibly illegal action to remove federal protection that’s sure to keep the San Juan River and Bears Ears at the front lines of the conservation movement’s fight for the years ahead. 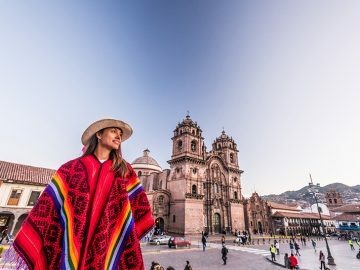 In the meantime, a trip down the San Juan lets you drift away into ancient times, while modern issues over public land come into focus. 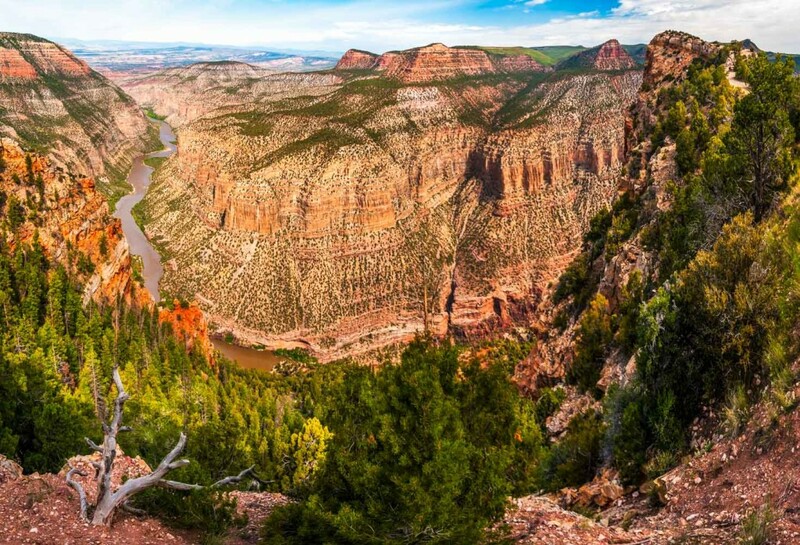 The Green River cuts through the Uinta Mountains to form the imposing Gates of Lodore on the northern tip of Dinosaur National Monument. 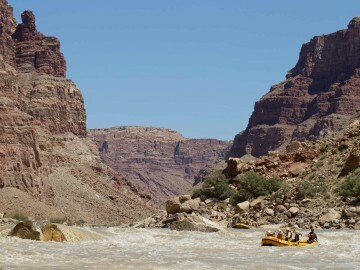 Major John Wesley Powell’s 1869 expedition gave the canyon this name for its ominous, other-worldly feel. It’s arguably the most beautiful Utah canyon for what it contains. 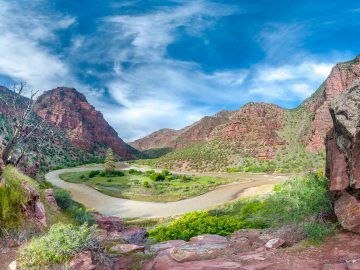 There’s verdant vegetation along the banks, and then slickrock sandstone cliffs where bighorn sheep graze among dinosaur fossils, petroglyphs, and Wild West artifacts. 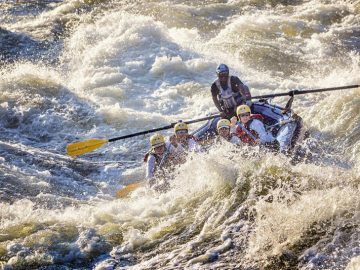 Pair that with Disaster Falls, Hell’s Half Mile, and other rapids that’ll keep your eyes wide for the 44-mile stretch. 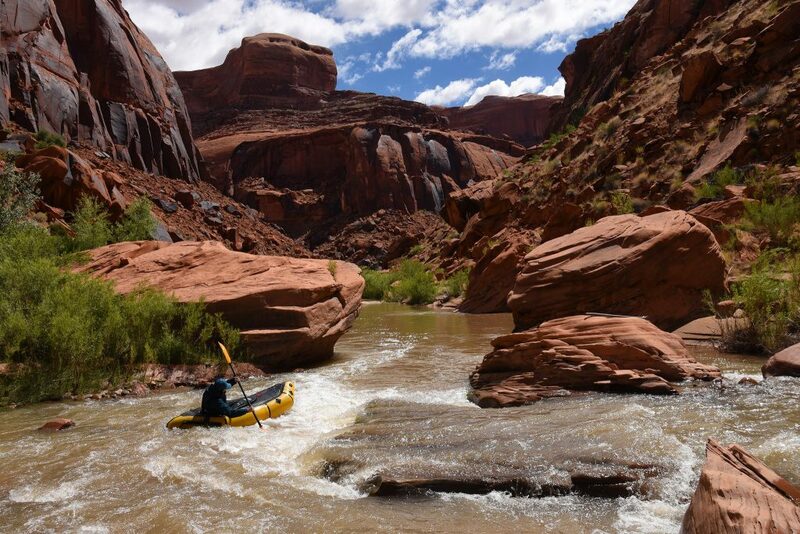 In an average year, no boaters run this 70-mile stretch of desert river. If there’s a deep snowpack, however, then the Escalante runs for just a few weeks in the late spring. Even then, you need a low-drafting boat like an inflatable kayak or a packraft, and if all goes well you’ll float through rarely-traveled terrain. 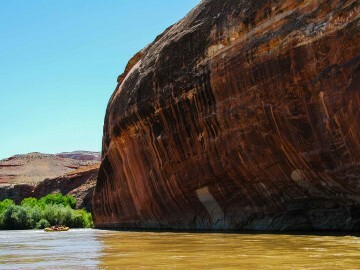 Cathedrals of red rock rise over the river, and the sense of isolation strengthens. It’s the landscape where Everett Ruess, a vagabond for beauty, mysteriously disappeared in 1934. You’ll encounter rock garden rapids, logjams, and ancient campsites with petroglyphs beneath rock overhangs. When the night sky overtakes the river, you’ll see more stars than you could ever count. It’s a trip that lives on in the minds of boaters who are waiting for their chance. 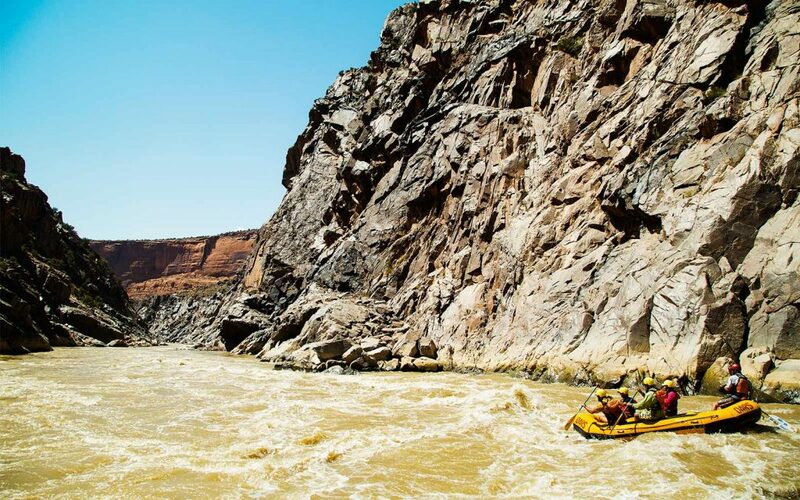 What’s your favorite Utah whitewater rafting trip? Tell us which river and what you love about it below.